APOSS Intermediate, SSC exams time table 2019 released at apopenschool.org: Andhra Pradesh Open School Society (APOSS) has released the time table for the class 10 and 12 board examinations in the state for the academic year ending in 2019. 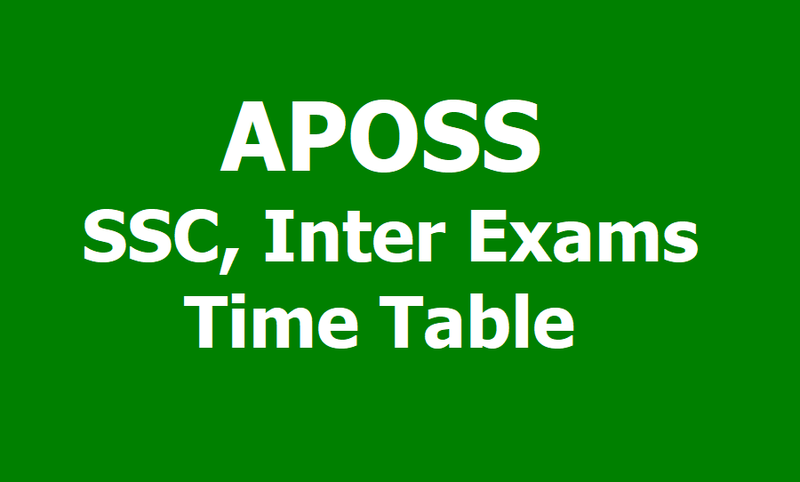 Students who are appearing for these papers can check the date sheet for the same below or on the official website of APOSS (apopenschool.org). The SSC (class 10) and the intermediate (plus two) examinations in Andhra Pradesh will take place from May 1 to 8, 2019. The papers will be three hours long and will be conducted from 2 pm to 5 pm each day. APOSS has also announced that the practical exams will be held from May 9 to 13, 2019. APOSS exam exams will now be conducted from May 1 to May 7, 2019 and the practical exams will be held from May 9 to May 13, 2019. The exams will begin at 9:30 am and will go on till 12:30 pm.